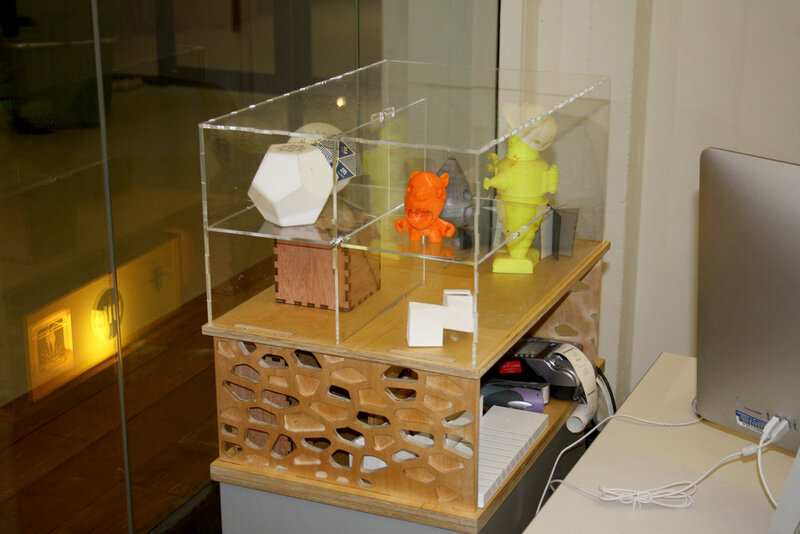 Display Case/ desk organizer I designed to show off 3D prints in Fablab1330. This also helped segway into a bi-annual 3D printing contest that we host in the lab now called "tiny show". It allows students from both the architecture and Industrial design department to show off some of their 3D modeling skills. Tiny Show was designed, curated and ran by Jamie Freedman, one of our best student workers in fablab1330.